After more than 20 years in New York City, a 10th-generation Ashe County native came home to slow down — but only a little bit. There was a traffic jam on the way to River House Inn. A cow had escaped its pasture, stopping in the middle of the gravel road to look around — a good reminder that the pace is slower in Grassy Creek. For innkeeper Gayle Winston, the occasional bovine roadblock is part of the charm of living in a pastoral community — and a sharp contrast to the honking horns and blaring sirens that made up the soundtrack of her life in New York City. Winston, a 10th-generation Ashe County native, moved to New York in her 20s to work for TIME magazine. Through a colleague who was a playwright, she began producing plays, including several that opened to critical acclaim. At 23, she was the youngest producer on Broadway. Now 88, Winston has been back in Grassy Creek for more than four decades after leaving the city to get back to her rural roots. 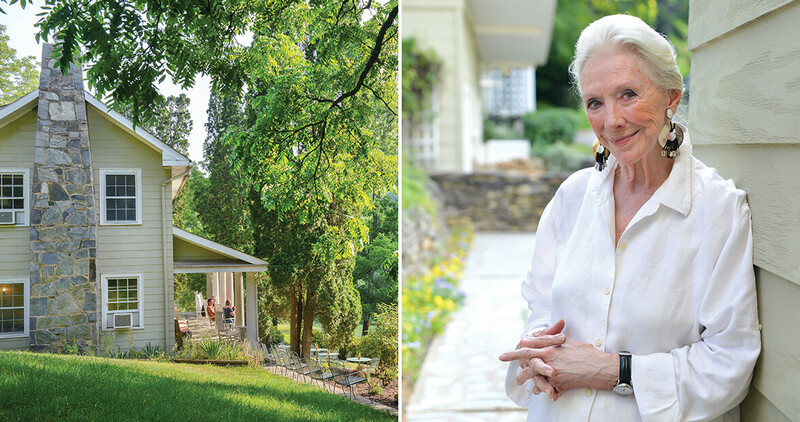 She purchased 43 acres of her great-grandfather’s farm in the early 1970s, and over the next decade, she raised cattle, grew tobacco, and owned multiple restaurants and inns, including the storied Old Salem Tavern in Winston-Salem. She later purchased and renovated River House, turning it into the home of The American Playwrights Project, a creative retreat for playwrights, actors, and directors that coexisted with the inn for 10 years. 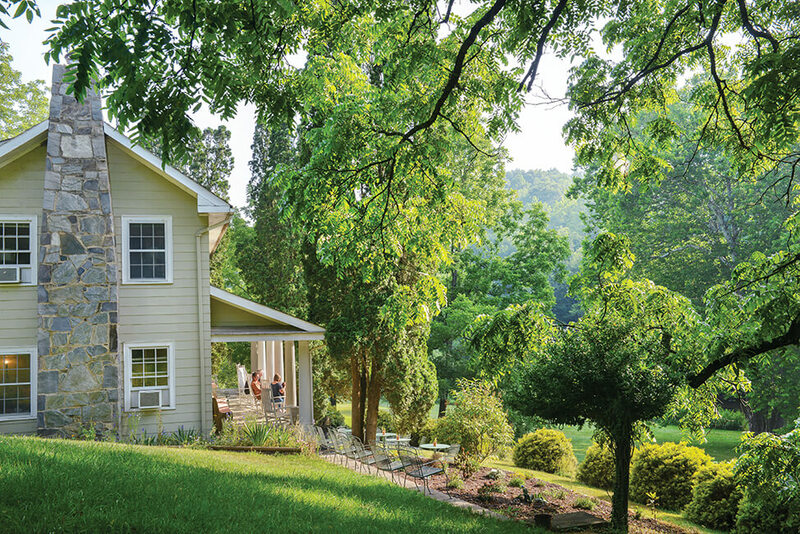 River House is not quite in the middle of nowhere: Located close to the North Carolina-Virginia border, it’s less than 20 miles to West Jefferson and a short, picturesque drive to the Blue Ridge Parkway. The 12-room inn offers guest rooms in the 1870 farmhouse and several of the original farm buildings. The Weigh Station, once used to weigh cattle being sent to market, is a cozy retreat complete with vintage quilts and a fireplace. 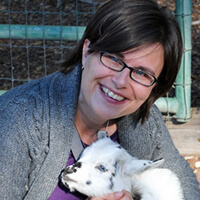 The Chicken House, once home to hundreds of hens, is the inn’s most popular nesting spot. As a nod to its pastoral past, the room has a coffee table fashioned from a chicken coop and a mantel made of nesting boxes. In the evenings, the dining room comes to life as Winston buzzes between her cast of characters, refilling wine glasses and introducing guests to neighbors who treat River House like the local watering hole. One neighbor, whose home overlooks the inn, confesses that she and her husband stop in several times a week for cocktails and conversation. It’s Winston’s never-met-a-stranger demeanor that keeps people coming back, the neighbor says.